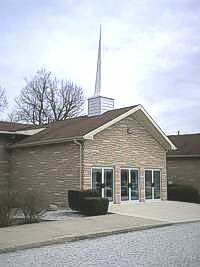 Our church is located east of Marion, Indiana, midway between Gas City and Upland, on 600 East that connects highways 18 and 22. Members of our congregation come mainly from the Marion, Mississinewa, Madison Grant, and Eastbrook school districts. Union Chapel is active in our community by supporting the Grant County Chaplaincy program, The Pregnancy Help Center, the Grant County Rescue Mission and the Gilead ministry. We are on the northeast corner of 600 East and 300 South in Grant County, Indiana.